The Oscars race may have gotten a little clearer Saturday night as the race-themed road trip drama "Green Book" drove off with the top honor. “When you make ‘Dumb and Dumber’ you never expect to get an award,” said “Green Book” producer and director Peter Farrelly as he accepted the Darryl F. Zanuck Award at the untelevised ceremony in Beverly Hills. He laughed that not only is this his first PGA awards, but that it’s the first time he has even heard of them. “I’m so grateful to be in this business,” Farrelly said. 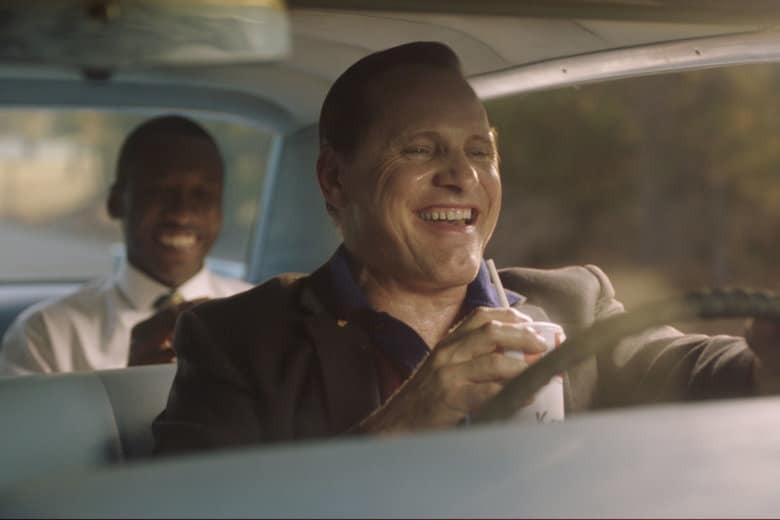 “Green Book” has had a rollercoaster awards campaign, weathering its share of both praise and backlash. But the film has with its PGA and Golden Globe wins emerged stronger than ever going into Tuesday’s Academy Award nominations. The Fred Rogers film “Won’t You Be My Neighbor?” won for documentary, and “Spider-Man: Into the Spider-Verse” collected the animation award to much applause. “We tried really hard to make a movie that was good enough for Miles Morales and his family to be in,” said “Spider-Verse” producer and co-writer Phil Lord. The producers of nine television programs were also recognized, including “The Americans,” for drama, “The Marvelous Mrs. Maisel,” for comedy, “RuPaul’s Drag Race,” game and competition television, “Anthony Bourdain: Parts Unknown,” for non-fiction television, and “The Assassination of Gianni Versace” for limited series. “Sesame Street” won for children’s programming, “Being Serena” for sports program and “Comedians in Cars Getting Coffee” for short form. The awards were almost a backdrop, however, to the multiple special honors bestowed throughout the evening to people like Marvel chief Kevin Feige, Jane Fonda, “Black-ish” creator Kenya Barris, Warner Bros. Pictures Group Chairman Toby Emmerich and “The Marvelous Mrs. Maisel” creator Amy Sherman-Palladino. Bradley Cooper got to thank Emmerich for taking a chance in letting him, a first-time director, make the fourth remake of a movie (“A Star Is Born”) with a star who had never been in a movie before. Feige thanked Downey Jr., but noted that he “hasn’t aged a day” since they made the first “Iron Man” over 10 years ago. “Black Panther,” he said, did something similar. “He taught sitcom writers how to write sitcoms,” she said.